The coroner’s inquest set up by Governor Rauf Aregbesola to probe the cause of death of Senator Isiaka Adeleke has revealed that the former governor died of drug overdose coupled with aspiration of gastric content. The coroner, who is a chief magistrate in the Osun State Judiciary, Mr. Olusegun Ayilara, said this in Osogbo on Tuesday during the presentation of his verdict after the inquest which lasted three weeks. 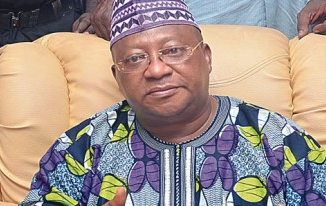 Ayilara ruled out poison as the cause of Adeleke’s death, saying there were no traces of poison in the system of the deceased according to the autopsy and toxicologist’s reports which were tendered before him. The coroner referred to the nurse, Mr. Alfred Aderibigbe, who treated Adeleke shortly before he died, as an unqualified personnel and recommended that the Department of Public Prosecutions should duplicate the case file and press approbation charges against the nurse. The coroner said, “The main man at the centre of the storm is one Alfred Aderibigbe, a supposedly nurse who testified through a Yoruba interpreter and admitted to have treated the late senator in the early hours of the day in the presence of one Dipo Faborode. “The Level 14 officer remained comical during the time he was giving his testimonies and sometimes broke down in tears. “I have critically gone through the evidence before me and from the totality of evidence, the speculation of the poisoning is baseless. I have not been able to trace the link of poisoning by anybody. The autopsy and toxicologist’s reports have confirmed that there were no traces of poison and heavy metal in his (deceased’s) blood; therefore, it is my prime opinion that he was not poisoned. “The evidence of CW5, CW6 and CW8 all point scientifically to the fact that the death of the deceased was caused by gastric content which blocked his airways as a result of high level of alcohol, sedative and analgesic which caused the senses to shut down, culminating into death. “The summary of the findings of this coroner is that the deceased did not die as a result of poison. The deceased had an administration of overdose of sedative and analgesic by an unqualified personnel, Alfred Aderibigbe, through intravenous means, which action was hastened by the presence of alcohol in the system. The deceased had patronised the nurse for over 20 years and had taken treatment from him without a doctor’s prescriptions. The high level of sedative and analgesic with the mode of administration caused aspiration of gastric content which blocked his airways. “By watching the nurse, Alfred Aderibigbe, I can see that he is economical with the truth even though he admitted that he acted unethically in the statement he made to the police. Throughout his statement to the police he never mentioned that he gave to the deceased intramuscular injection. “He obviously showed me that he has a lot to hide as regards the dosages he gave to the deceased and the mode he gave them. “By the witness of the specialists and by the exhibits, I hold that Alfred Aderibigbe administered overdose of diazepam 40mg, hydrocortisone 200mg, analgin 1000mg, gentamicine 1500mg, and pentasozine to the deceased intravenously coupled with excessive alcohol which caused his death. The coroner commenced sitting on May 8 and entertained testimonies from nine witnesses out the 15 summoned. He admitted a total of 11 exhibits during the inquest.